The mass protests on June 10 hit the Communist party at its most sensitive point. The Vietnamese government fears the latest wave of demonstrations could coalesce into broad-based opposition to its rule and is deploying riot police and under-cover units across the country to suppress the protests. 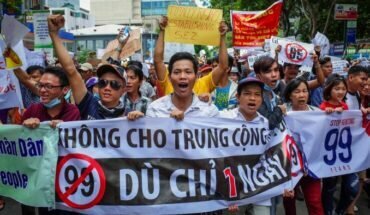 Police dragged activists from the streets of Ho Chi Minh City on Sunday, a week after thousands joined a mass rally there to denounce plans for new economic zones. Hundreds have been arrested since protests swept through major cities on June 10. 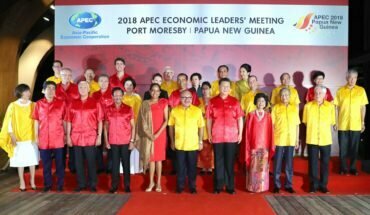 They were provoked by suspicion that the government is selling out to Chinese commercial interests by proposing lengthy leases for foreign companies. The Communist party’s fears were given voice by Vietnam’s most prominent leader, the party’s General-Secretary Nguyen Phu Trong, during a meeting on Sunday with selected citizens in Hanoi. The party must be vigilant, he said, to oppose forces that wanted to bring down the system. He went out of his way to defend a controversial law enhancing government control of the internet, which was passed by the National Assembly last week. “Technology has many benefits, but it is very difficult to manage, and there are elements that use the Internet to provoke, disturb, an attempt to overthrow the government,” he said. For a government that permits no political opposition, jails independent bloggers at will and commands a vast internal security network, the comments reflect a scarcely creditable sense of vulnerability gripping the country’s top leadership. Like other authoritarian rulers, they live in the shadow of the “colour” revolutions that swept through former Soviet territories including Ukraine and Georgia, and see subversion and uprising at the faintest hint of opposition. The Vietnamese Communist party sees control of the internet as the first step to reasserting its grip. It knows it is on weaker ground over its plans to set up three new special economic zones. It postponed a vote on the bill the day after the June 10 protests, suggesting that it will now reduce the length of the 99-year leases to be offered to foreign companies. Mr Trong and other top leaders have acknowledged that some of the protesters took to the streets out of a sense of patriotism. He sounded hurt and offended by the charge that the Communist party cannot be trusted to defend Vietnamese interests against China, saying that the party was not naive and had always defended the country’s sovereignty. His claim goes to the crux of the party’s claim to legitimacy – an issue that could ultimately prove its downfall. The party of Ho Chi Minh has always trumpeted its achievements as a champion of Vietnamese nationalism – from the independence wars against the Japanese and French to the war against the Saigon government and its American backers. 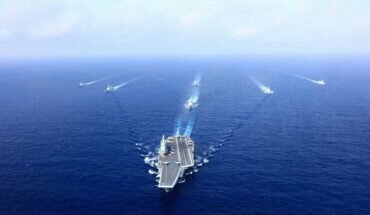 However, for most Vietnamese it is an ambitious and expansionist China that poses the true existential threat to the nation – they are acutely sensitive to any hint of complicity between the communist comrades in Hanoi and Beijing. The party is now hitting back by trying to portray the activists as the real traitors, insinuating that they are in hock to sinister foreign interests that seek to manipulate and distort the honest patriotism of the masses. The violent protests that erupted in the southern province of Binh Thuan on Sunday and Monday last week helped the authorities play up this narrative. State media alleged that the attacks on police and party buildings had been planned in advance, and that rocks, bricks and petrol bombs had been stockpiled for the event. Many arrests have since been made in the province. Police were mobilised in sufficient numbers to prevent repeat demonstrations there, as well as in Hanoi and Ho Chi Minh City. 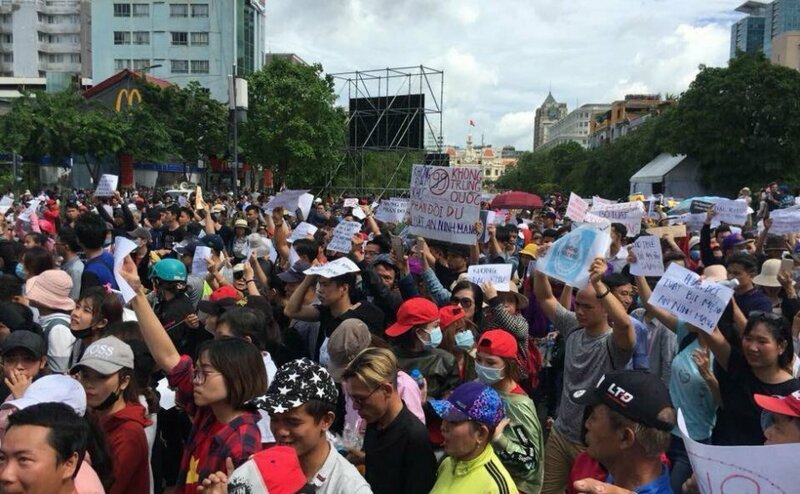 Only in Ha Tinh, on the north-central coast, did thousands manage to take to the streets for a second weekend of mass peaceful protests. The area, the scene of the last wave of mass protests following the environmental tragedy of the Formosa steel plant leaks in 2016, is particularly sensitive for the government, which was accused of collusion with foreign business interests over the disaster. The scale and geographical spread of the latest protests shows the government has much to do to regain the trust of the people and shore up its legitimacy. It appears set to revert to tried and trusted tactics rather than acknowledging legitimate grievances and attempting a more pluralistic and consensual approach. The government has temporarily withdrawn the most controversial law, where it feels most vulnerable, and is now focusing on repression: crushing dissent on the streets, singling out the most vocal and effective activists, and eliminating the use of social media as a tool for the free exchange of views and information.